The structure derives from the frame type structure of §6.4.1 by replacing columns c2, c5, c8 and c11 of cross-section 400/400 with four perimeter walls of cross-section 2000/300. The main mode shapes of the modal analysis of the first case of the wall system are illustrated in the following page (The modes of the other three cases are similar). In the next four pages, the characteristic quantities for all cases are presented. It is extremely useful to compare between the variants of the wall system, but also between the frame and wall systems. 1) In all cases, the natural period of the first mode shape is of the order of 0.70 sec. If however the stiffnesses of the elements are taken as being 100% of the elastic, the value of periods is of order of 0.50 sec (see §6.3.3). 2) The wall system behaviour is clearly better than the behaviour of the frame system, particularly when in the presence of a basement with perimeter walls. In the absence of symmetry in y direction, the fundamental mode shape in x (the 2nd) has also a component in y, meaning that both translational and torsional responses are developed. The sum of the effective modal masses of the 12 first modes amounts to 99.5% and 98.1% of the total mass of the structure in x and in y directions respectively. The behaviour factor of the ductile wall system is found to be q=3.60, a value considered to be the best possible for DCM structures of such structural type. The displacement of the wall type structure is significantly smaller than the one of the frame type structure of the previous paragraph (16.3 mm against 24.5 mm). The bending moment of the first storey, is carried almost exclusively by the walls. The cross-sections of the footing beams are not strong enough to carry the high bending moments of the perimeter walls, resulting in the system along y to shift to a wall-equivalent dual system one with overall q=3.00. Moreover, the displacement of this system, along x, is equal to 21.3 mm compared to 25.7 mm of the corresponding frame system. Compared to case 1, the bending moments of the walls are smaller, while of columns are higher. 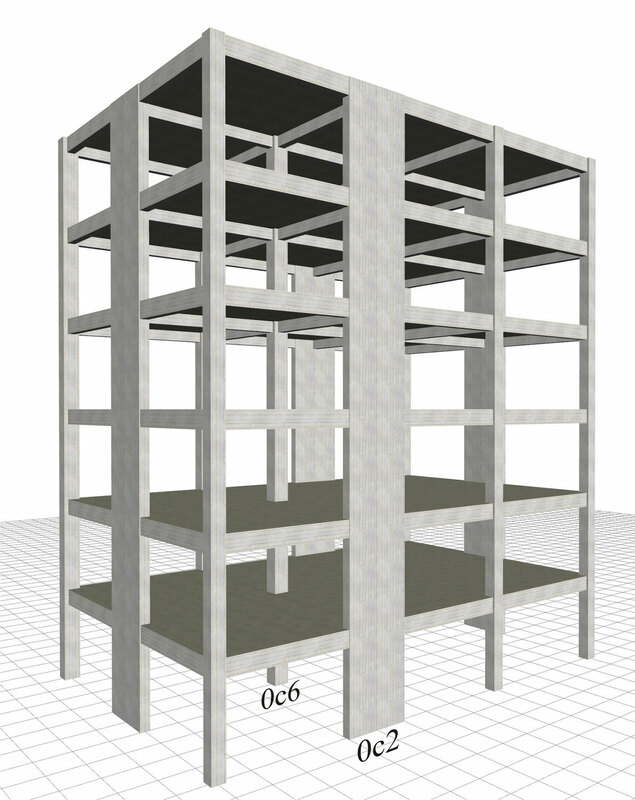 Figure 6.4.2-16: Structure and model. In both directions the structure functions as a wall-equivalent dual system, due to attenuation of wall behaviour caused by the ground's low ability to oppose rotation. The situation would be considerably improved using strong strap beams. The bending moments of the first storey walls reflect more the frame than the wall behaviour. Figure 6.4.2-21: Structure and model. The overall behaviour of the structure is much better compared to that of the strong foundation at the ground floor approaching that of the assumed fixed conditions at the base.